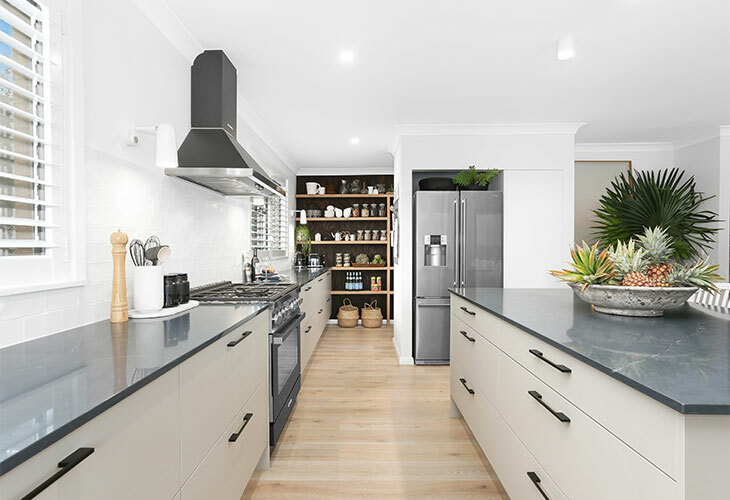 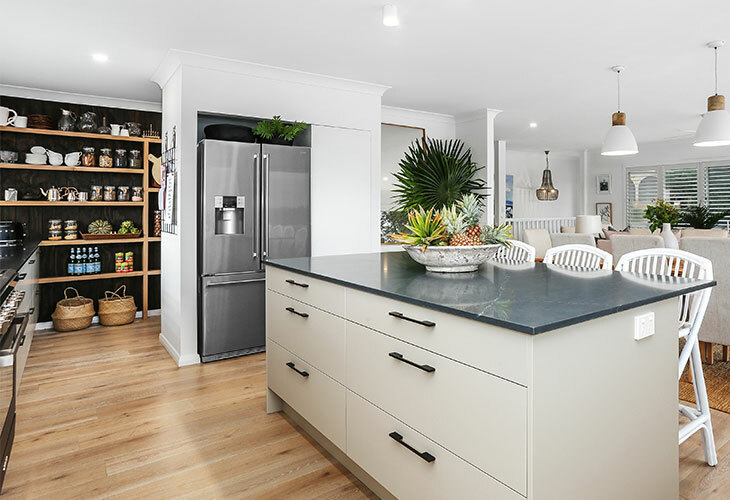 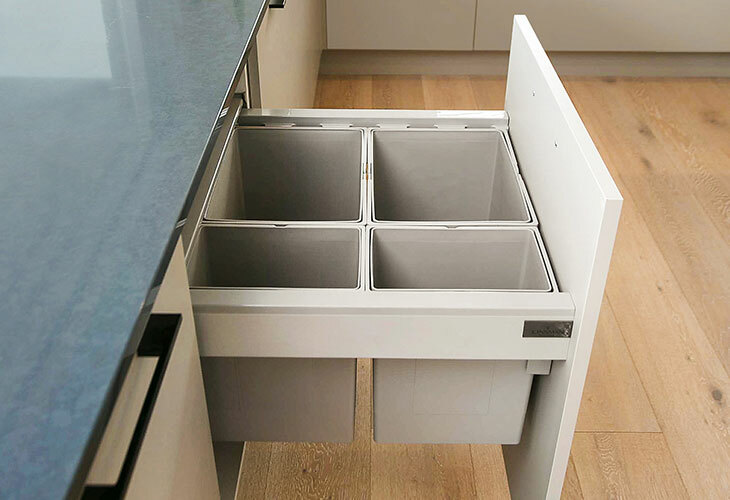 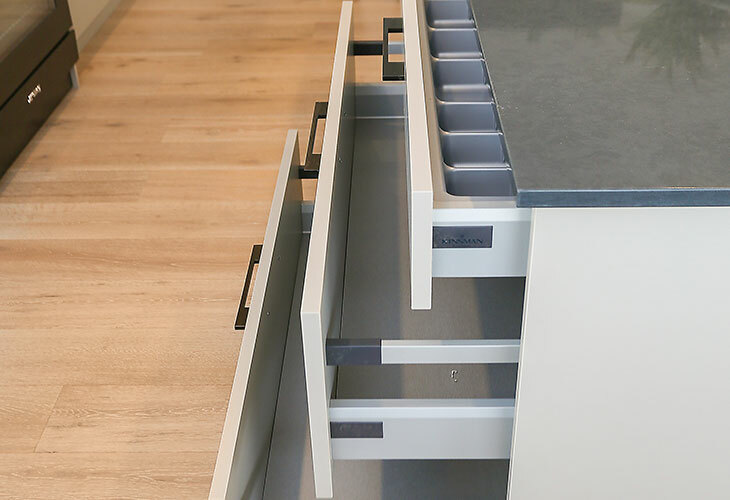 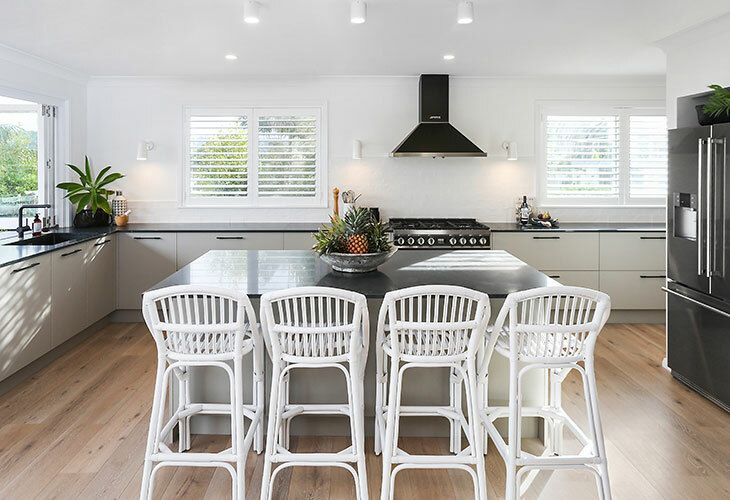 An easy, breezy coastal kitchen design, boasting Essendon Bespoke Super Matt cabinetry. 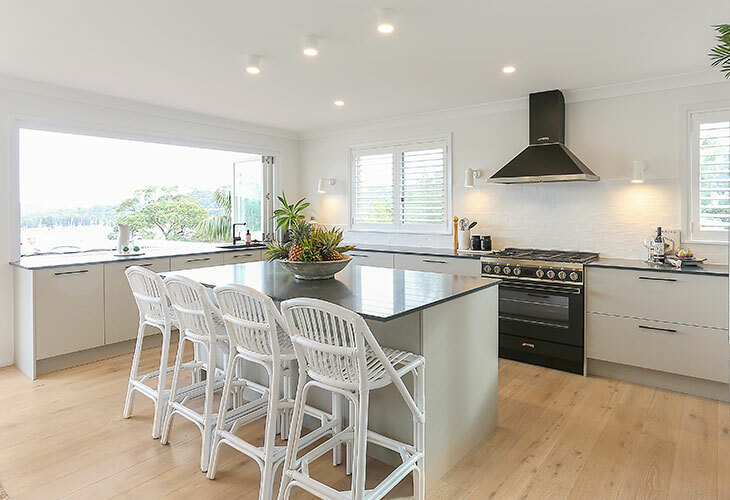 A lavish island benchtop creates the perfect space to enjoy the water views. 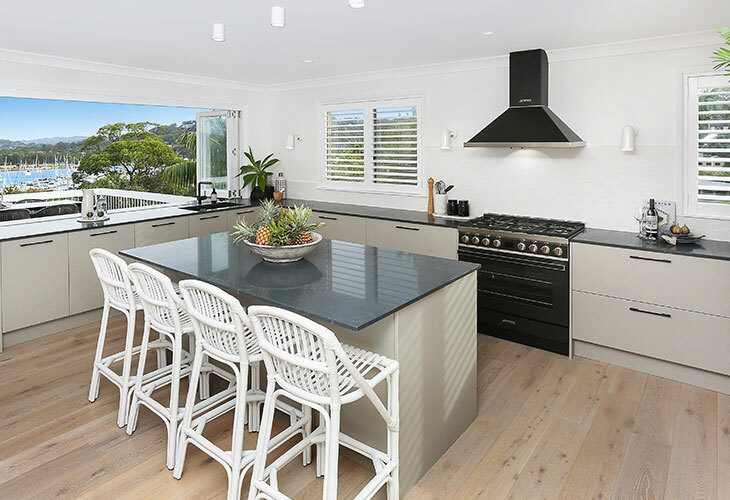 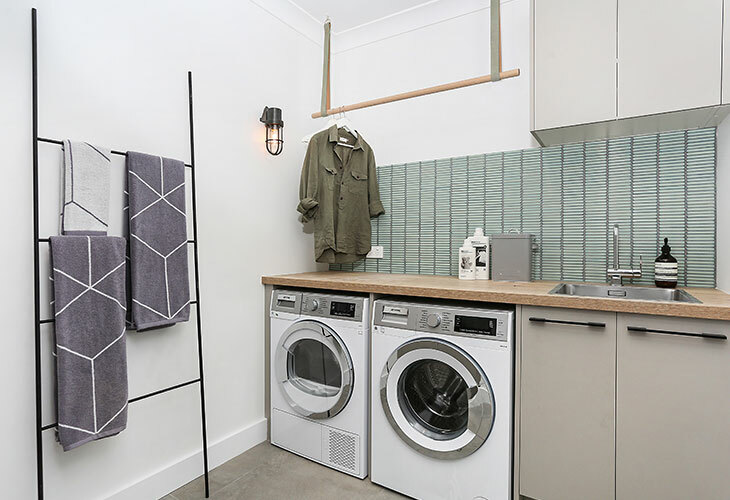 The coastal design flows into the laundry, with the addition of a Natural Halifax Oak Premium benchtop. 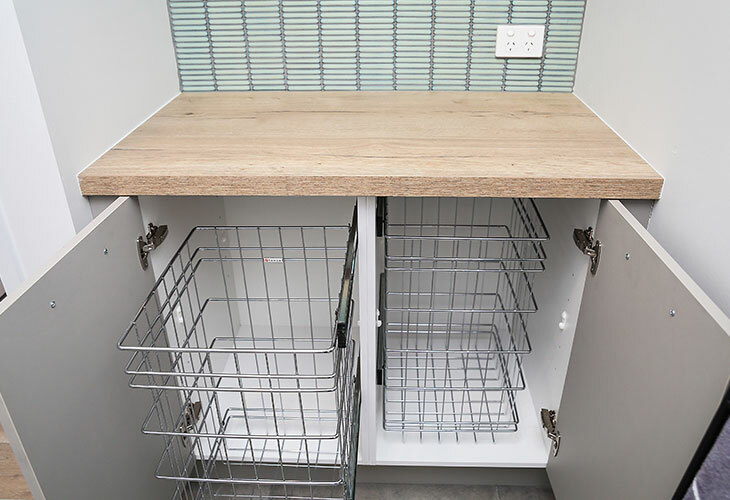 The duck egg blue tiled splashback gives this look a splash of colour.